Forget Iran and Opec (Organization of Petroleum Exporting Countries) - there’s another issue that will keep oil prices supported for the next two years, reported Bloomberg, citing senior analysts of US investment bank Morgan Stanley. Brent crude will reach $90 a barrel by 2020 as new international shipping regulations take effect, overhauling the types of fuels produced by refiners, they said. The changes, which force vessels to consume lower sulfur fuels beginning in January of that year, will lead to a boom in demand for middle distillate products including diesel and marine gasoil, triggering the need for more crude, they stated. "We foresee a scramble for middle distillates that will drive crack spreads higher and drag oil prices with it," wrote Morgan Stanley analysts including Martijn Rats. While crude has already received a boost due to supply cuts by the Opec and geopolitical events including the US decision to reimpose sanctions on Iran, the rule changes add to the impact. Global benchmark Brent, which neared $80 a barrel earlier this week, is trading at the highest levels since late 2014. Futures for the January 2020 contract are at about $66.60 a barrel. The rules from the International Maritime Organization call for ships to reduce the maximum sulfur content of their fuels to 0.5 per cent, from 3.5 per cent in most regions currently, in an effort to curb air pollution that has been linked to respiratory diseases and acid rain. The changes are expected to create an oversupply of high-sulfur fuel oil while sparking demand for IMO-compliant products, putting pressure on the refining industry to produce more of the latter fuels. Repsol SA, Reliance Industries, Valero Energy and Tupras Turkiye Petrol Rafinerileri AS are among those who stand to benefit most, stated Morgan Stanley. Middle distillate markets are already showing signs of tightness. Diesel and gasoil stockpiles in key storage hubs in Europe, the U.S. and Asia are below their five-year seasonal averages. At the same time, middle distillate demand has grown at an annual rate of about 600,000 barrels a day since 2011, accelerating to 800,000 barrels a day in recent quarters, Morgan Stanley estimates. 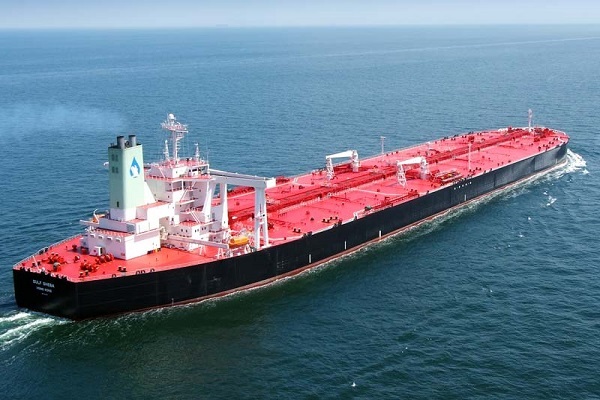 With the IMO ship-fuel regulations expected to boost demand by an additional 1.5 million barrels a day by 2020, traders will seek to get the right product supplies, which should boost crude prices, according to the bank. While global crude production will rise, it probably won’t increase by the 5.7 million barrels a day needed by 2020 to meet the additional demand for fuels, the analysts said. US oil output, now at a record, likely won’t come to the rescue, since the crude pumped in America’s shale regions is light and not ideal for producing middle distillates, Morgan Stanley noted. “We expect the crude oil market to remain under-supplied and inventories to continue to draw,” the bank said. “This will likely underpin prices,” he added.